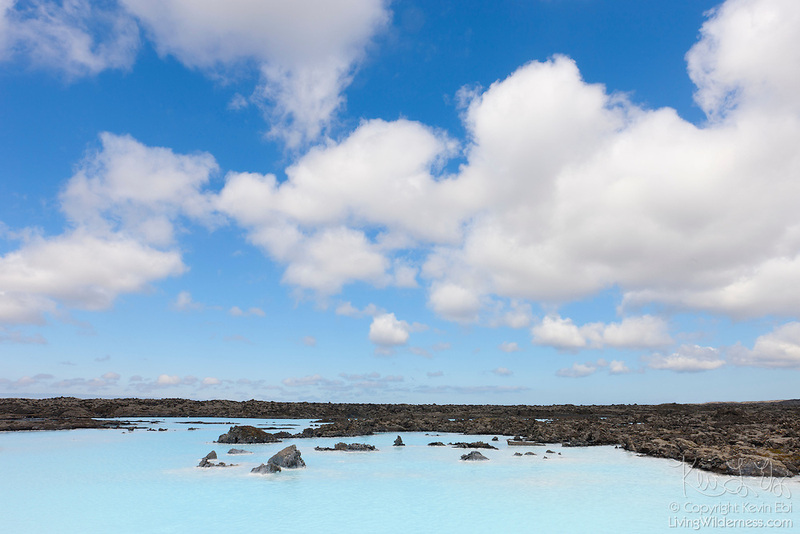 The milky blue water of Iceland's Blue Lagoon (Bláa lónið) somewhat mimicks the color of the summer sky. Portions of the Blue Lagoon are heated with natural, geothermal energy. The mineral-rich hot pools are a popular tourist destination.